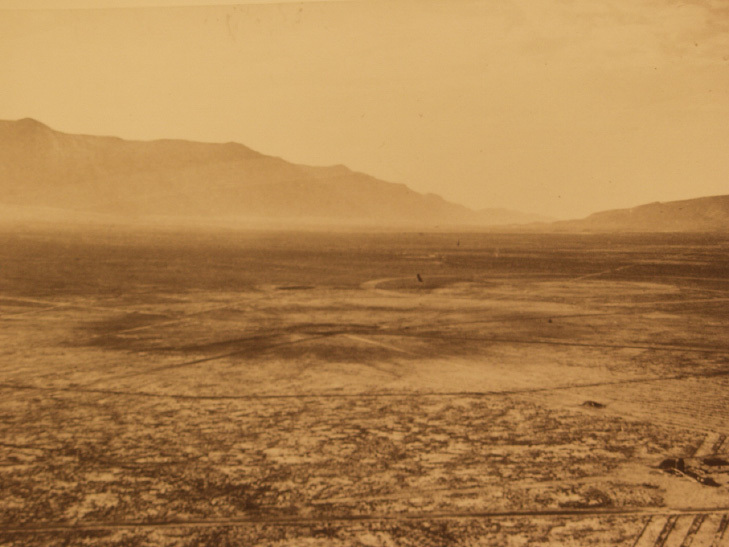 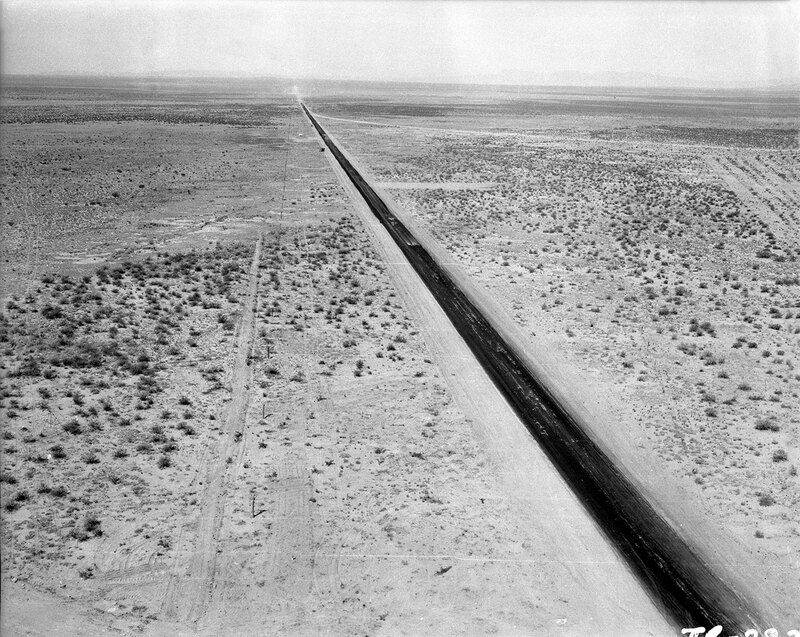 J. Robert Oppenheimer gave the code name "Trinity" to a remote patch of the Jornada del Muerto Desert as a tribute to a line from a poem by John Donne. 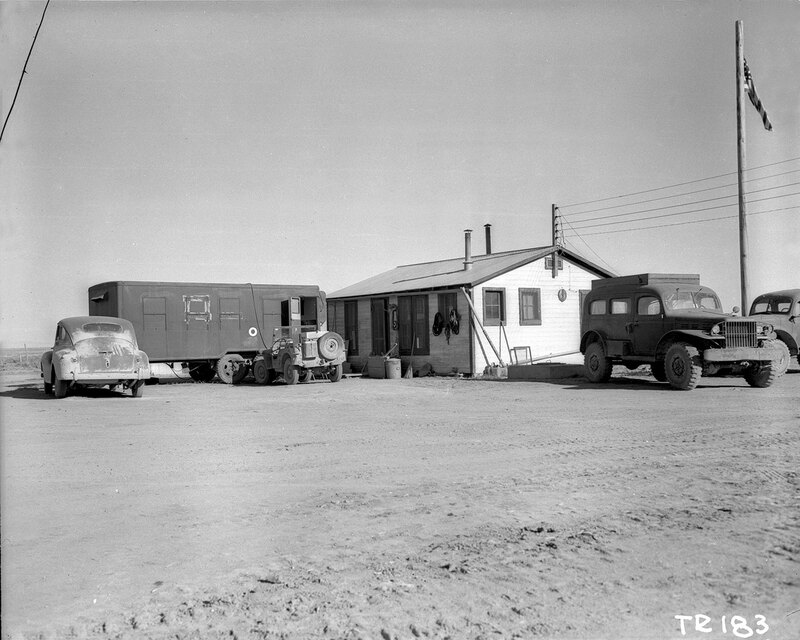 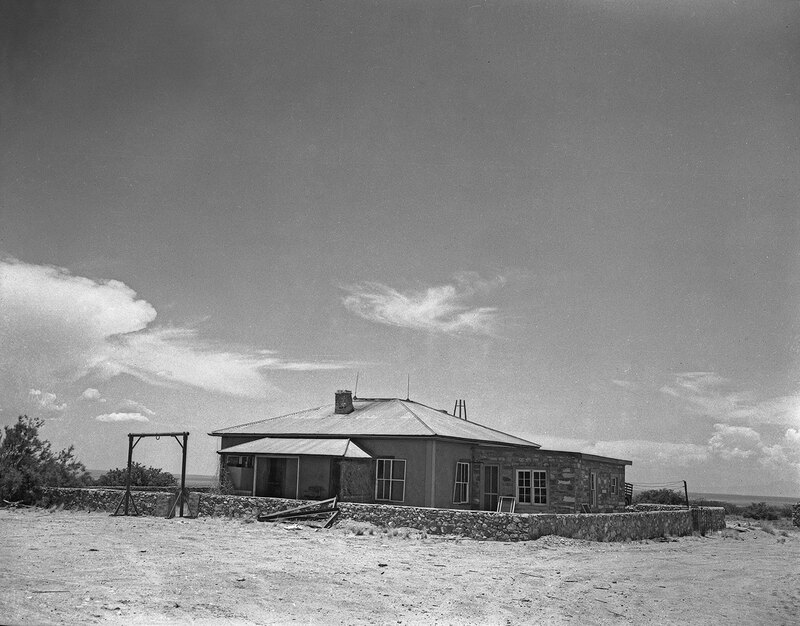 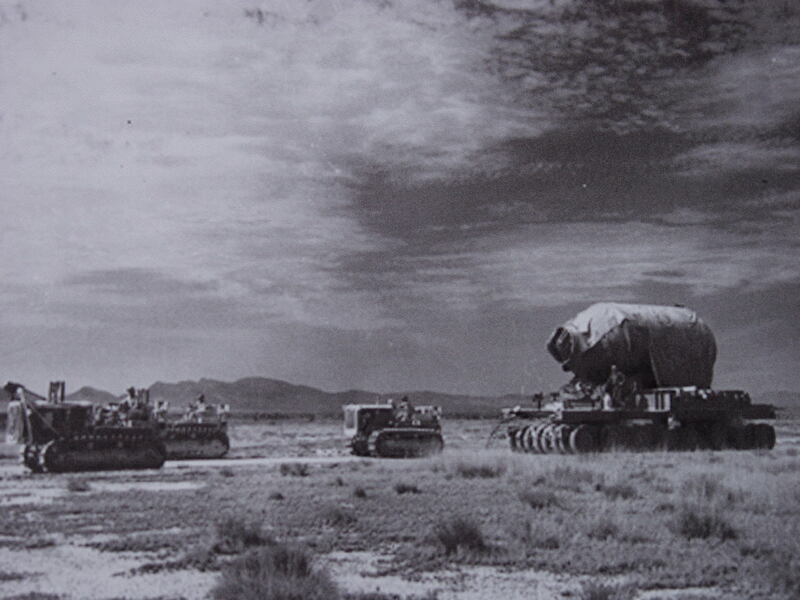 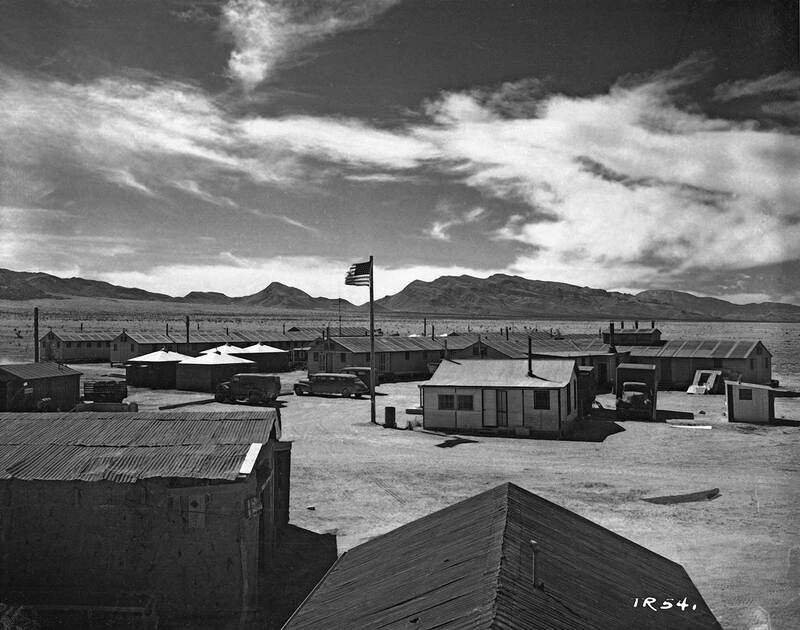 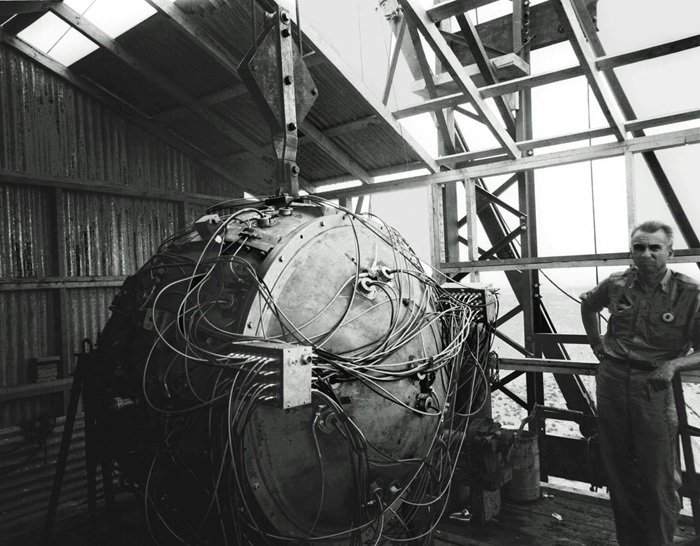 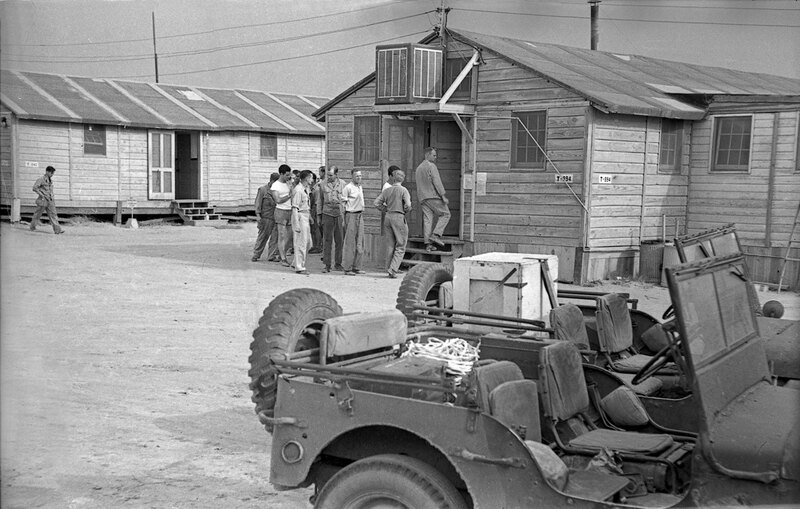 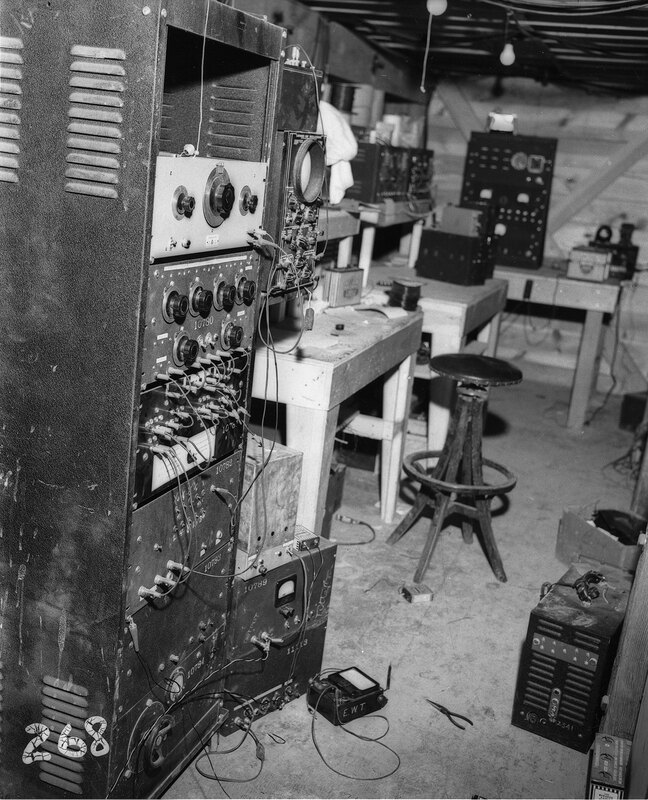 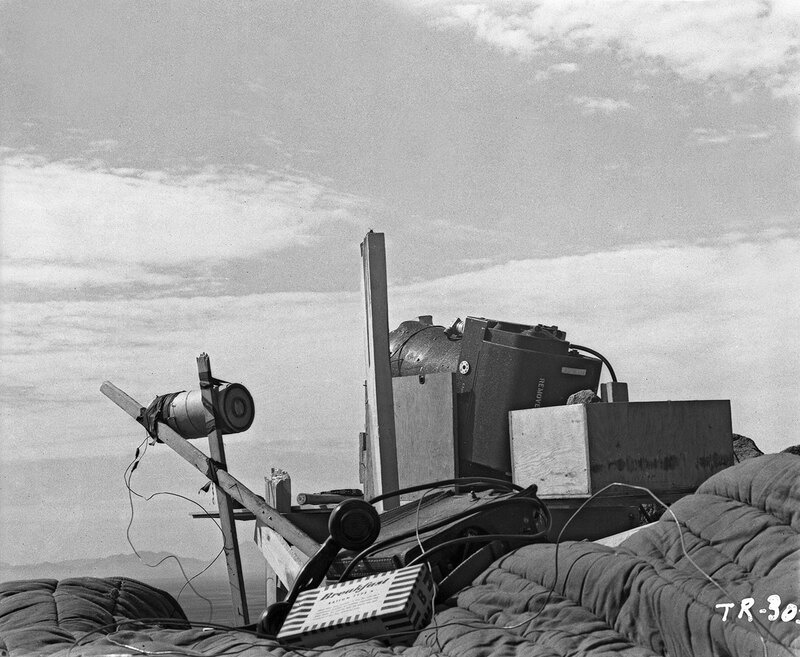 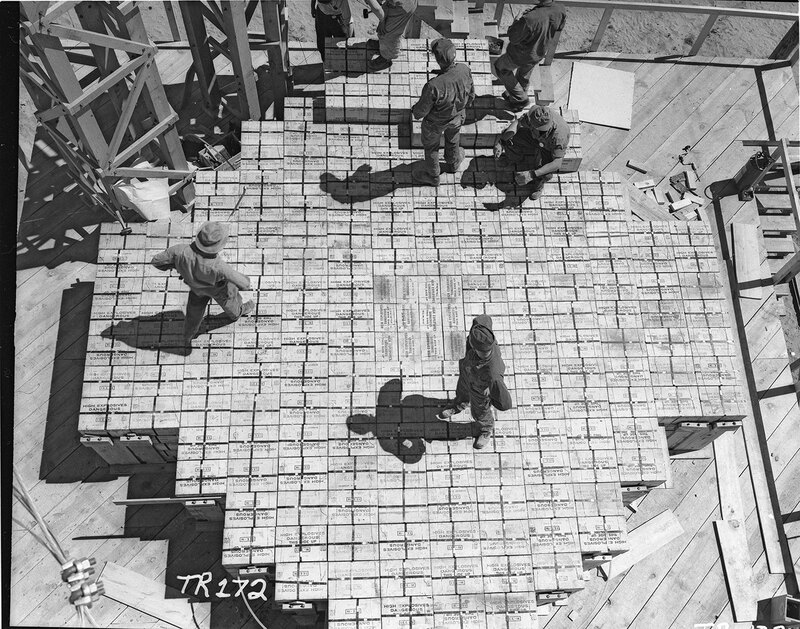 Soon after, teams of scientists and soldiers descended on the area, setting up a base camp and installing equipment in preparation for the world's first nuclear test. 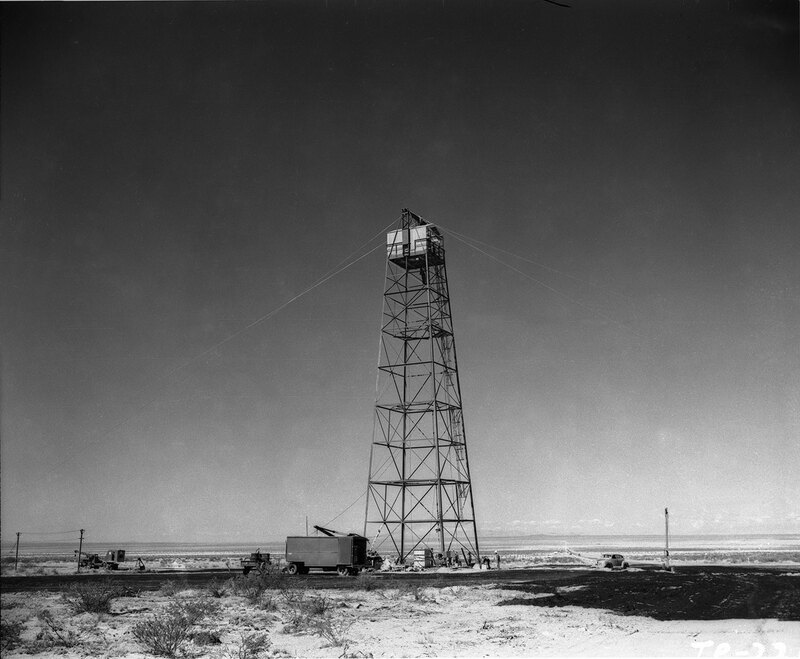 After months of dueling with the limits of technology and the region's harsh weather conditions, the scheduled test date arrived. 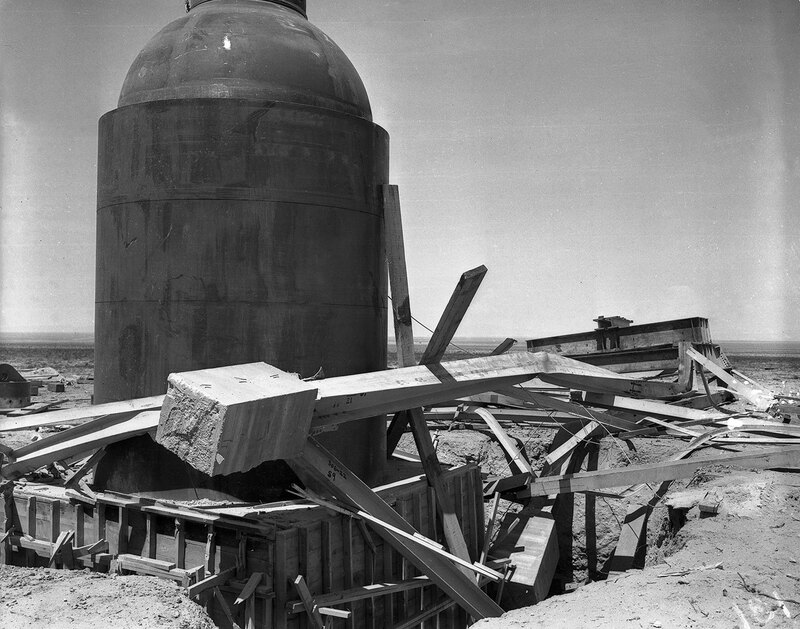 On July 16, 1945, the "Gadget" nuclear device was detonated from a steel tower, exploding with a force that would forever alter human history. 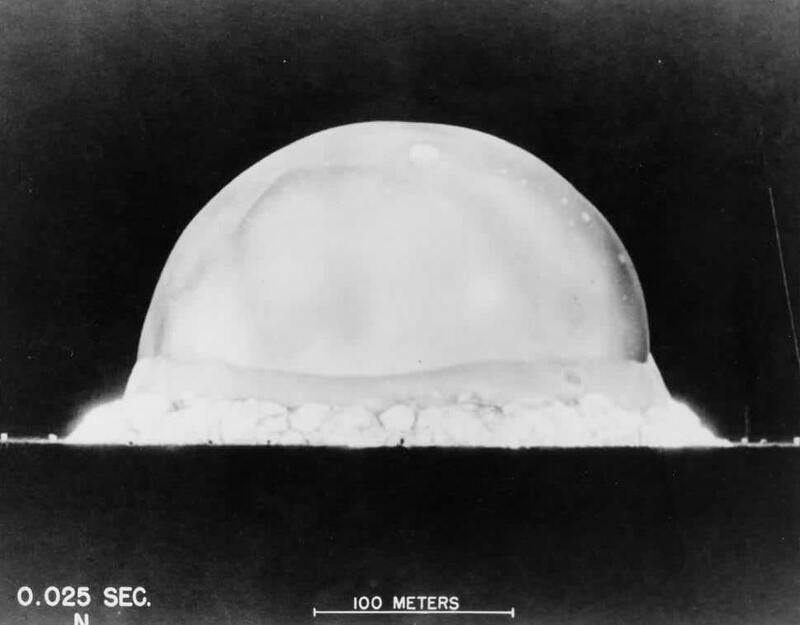 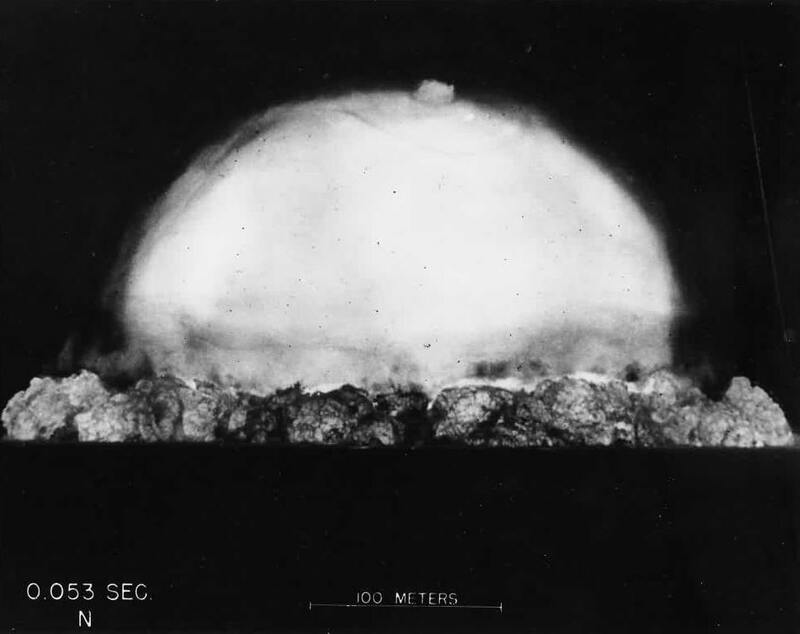 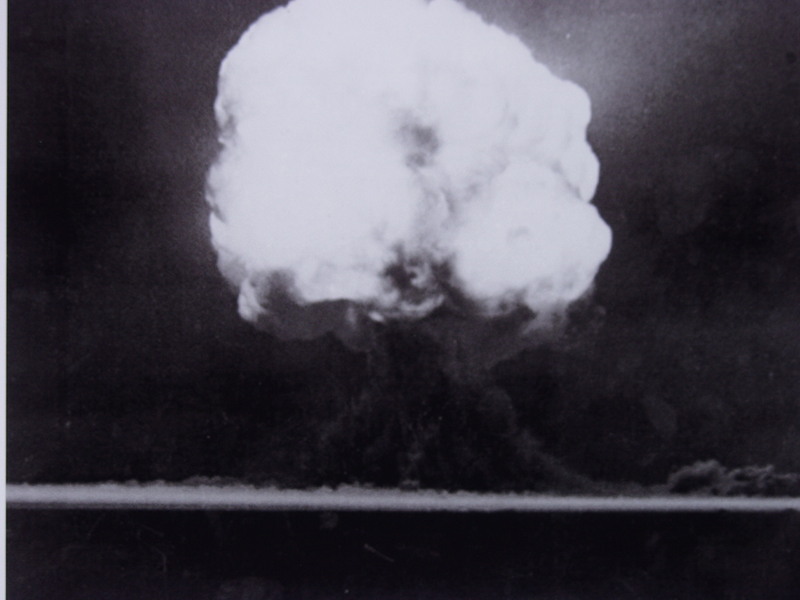 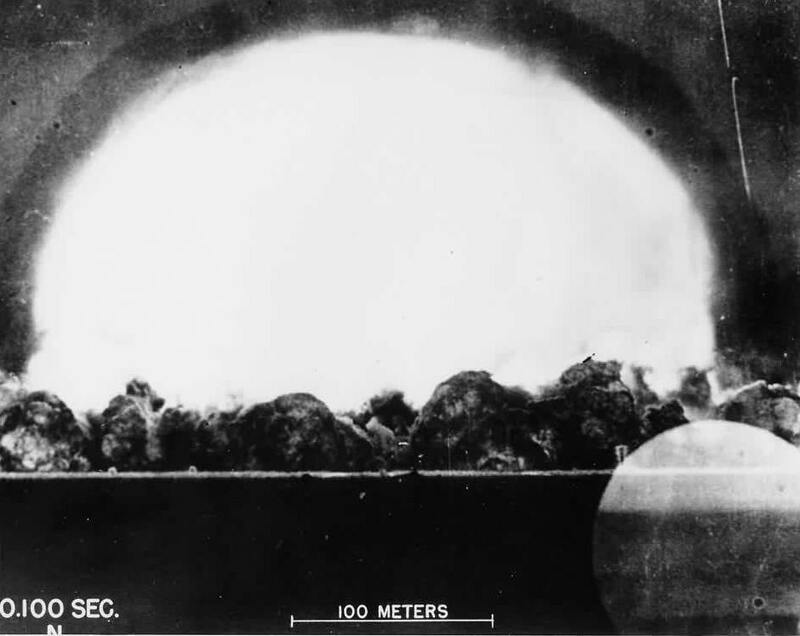 The mushroom cloud rose almost eight miles high and left a crater that was ten feet deep and over 1,000 feet wide. 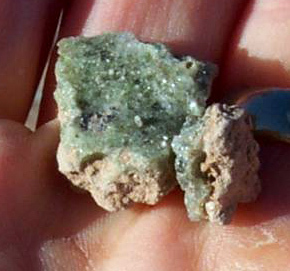 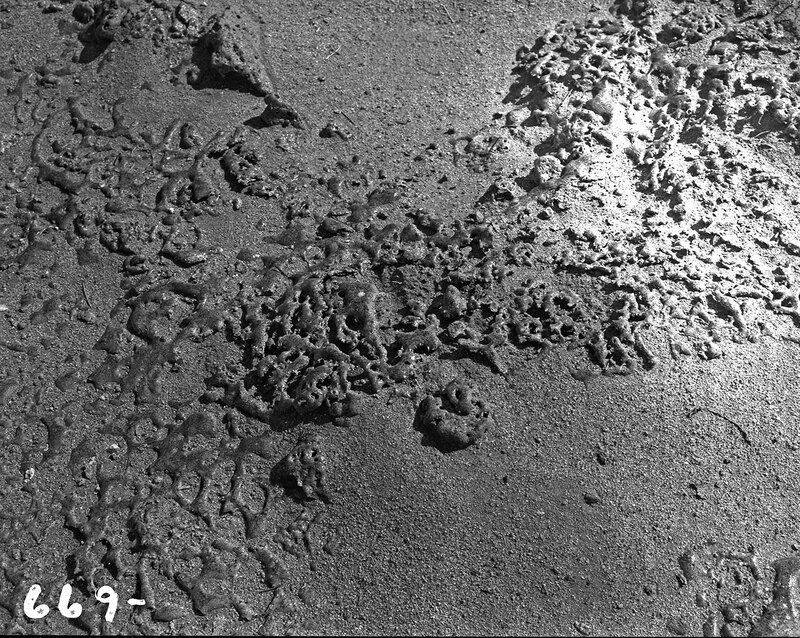 Pieces of a green, glass-like and mildly radioactive mineral were scattered in and around the crater. 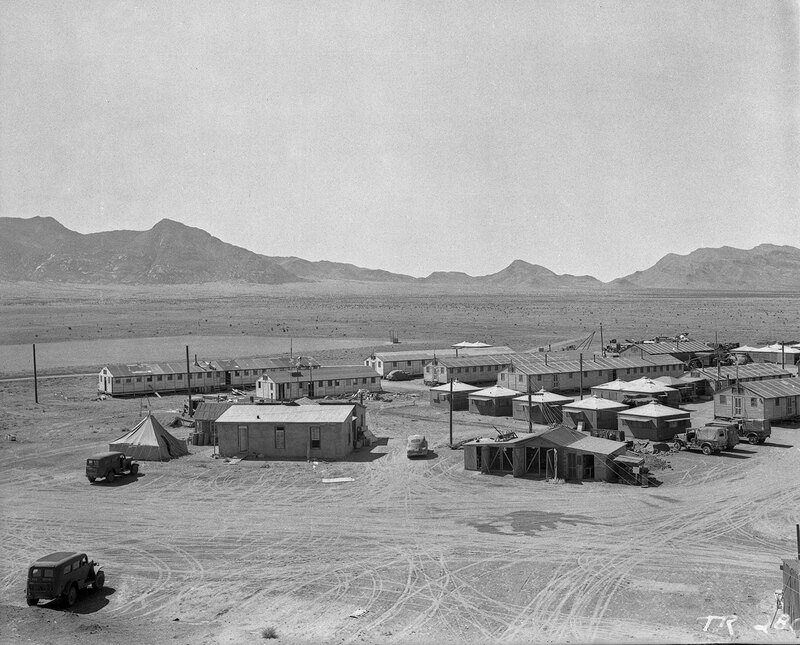 Dubbed “Trinitite,” investigators theorized that desert sand was lifted by the blast, liquefied by the tremendous temperature and rained down on the earth. 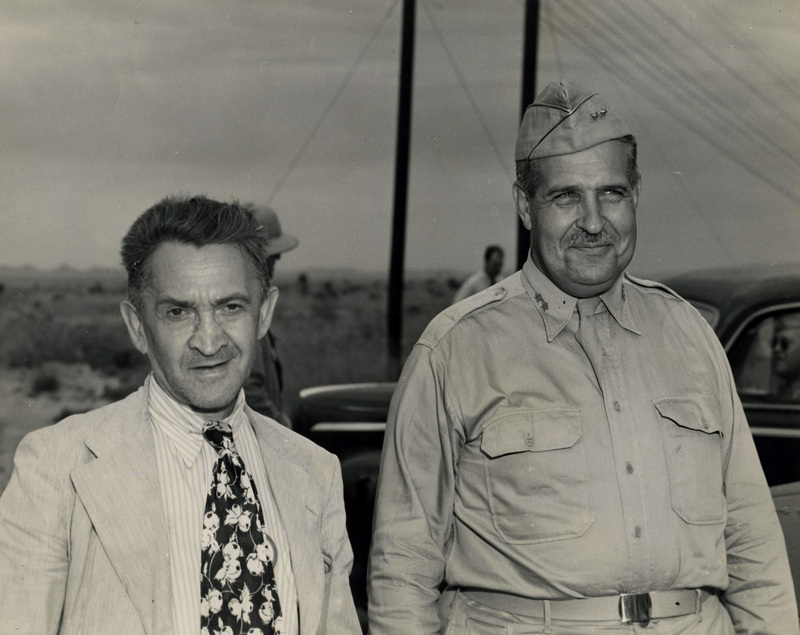 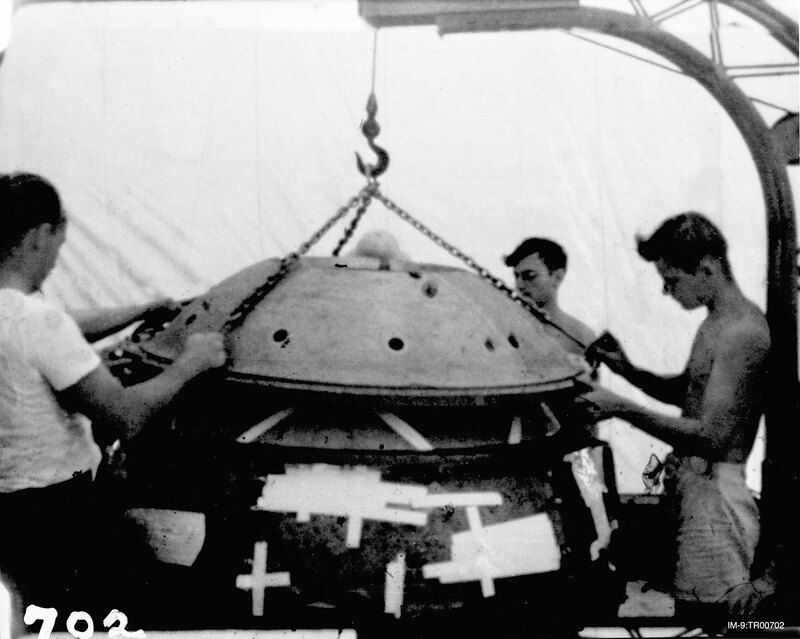 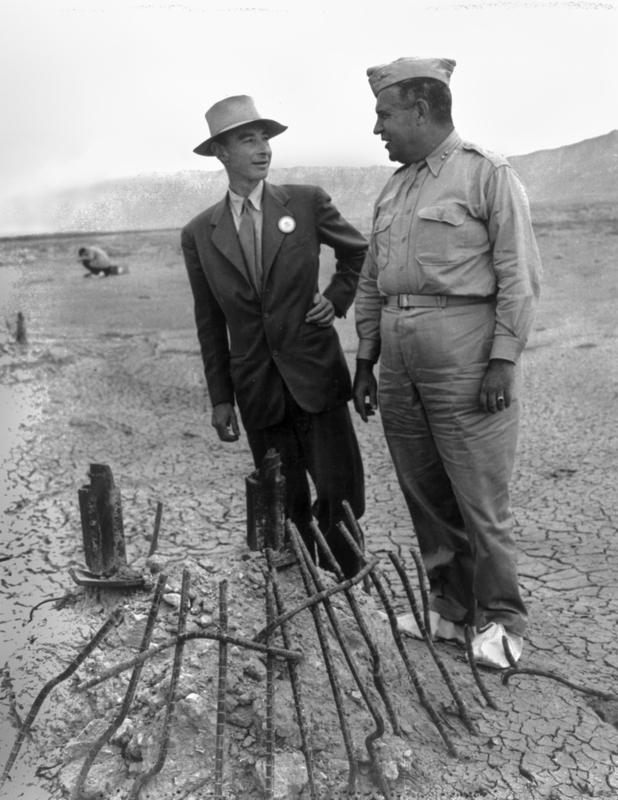 Groves and Oppenheimer with his signature porkpie hat returned to the Trinity site about six weeks after the explosion on Sunday, September 9, 1945. 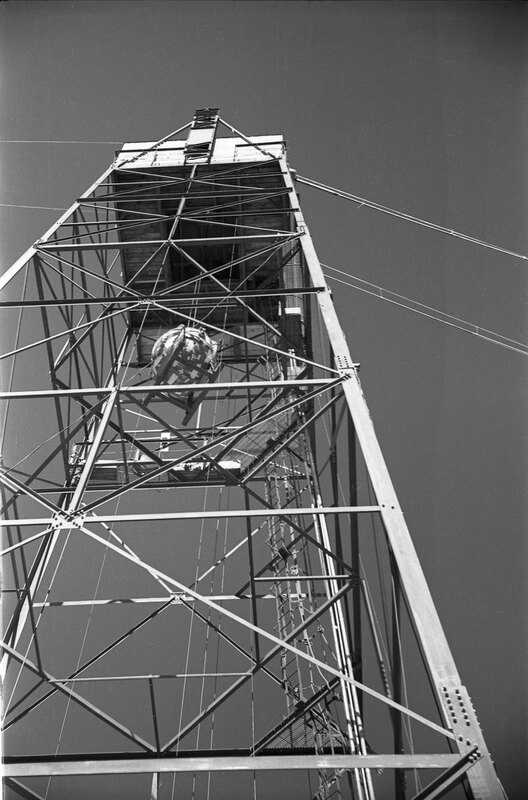 The twisted metal rods were all that remained of the 100-foot tower. 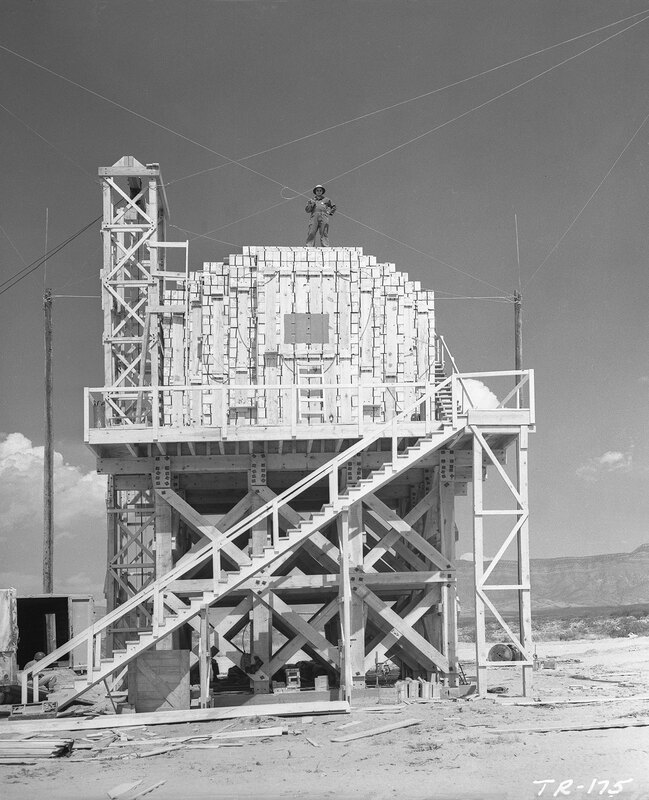 The press was invited for the first time in part to dispel fears of lingering high radiation levels. 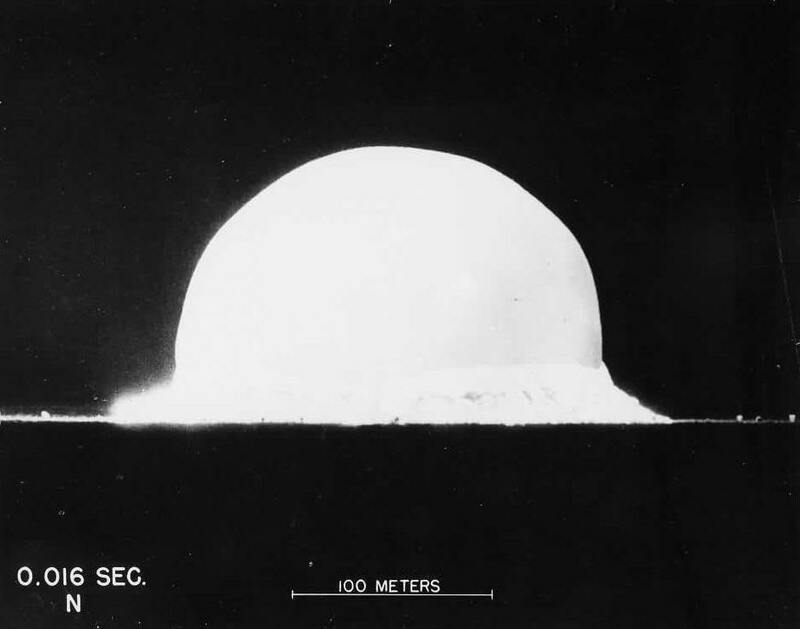 For more on the Trinity test, click here. 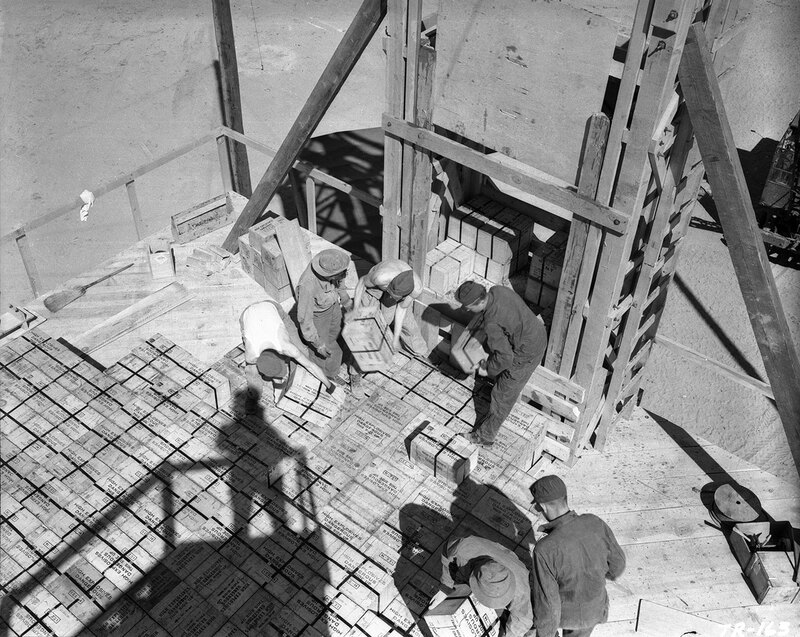 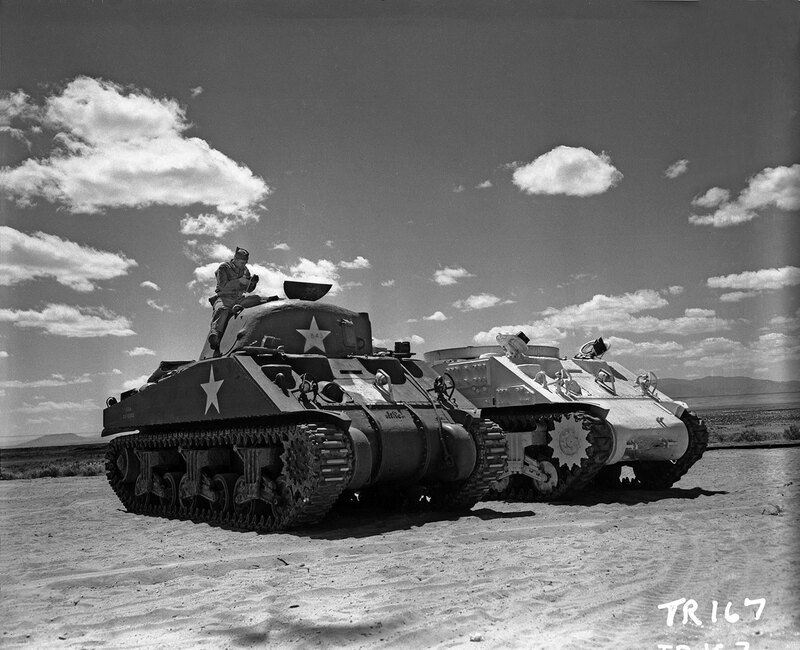 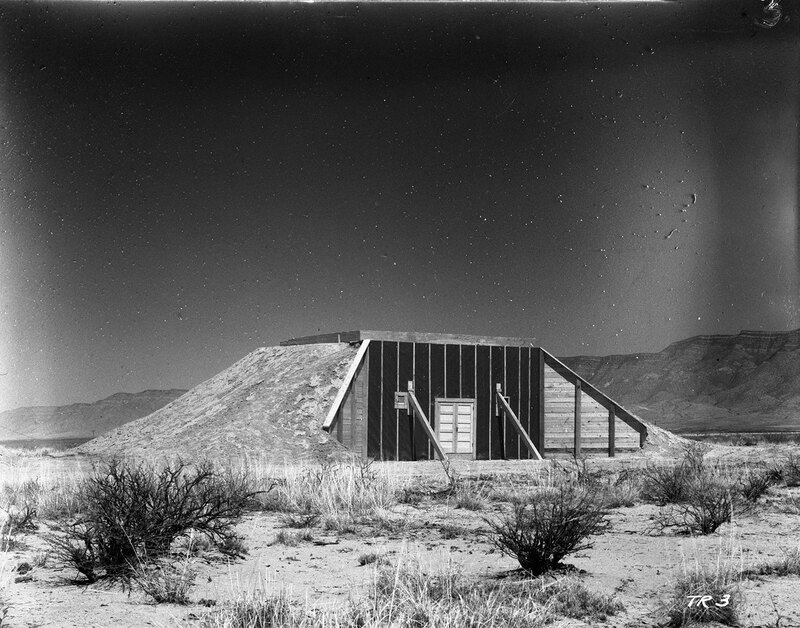 For rare photographs taken by Marvin Davis, an MP stationed at the Trinity site, click here. 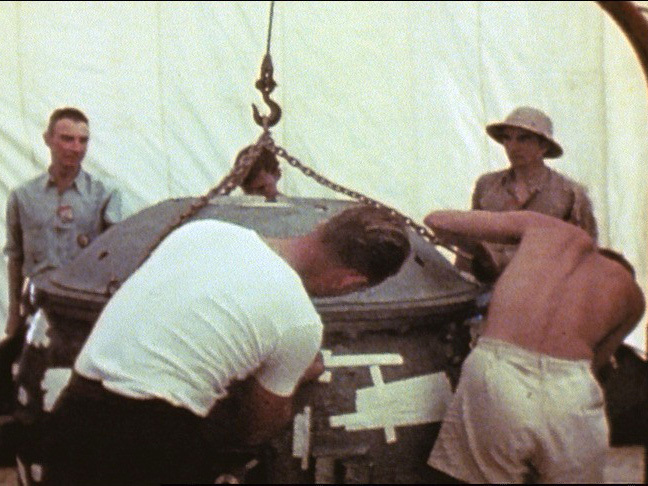 For videos of the Trinity test, visit our YouTube channel. 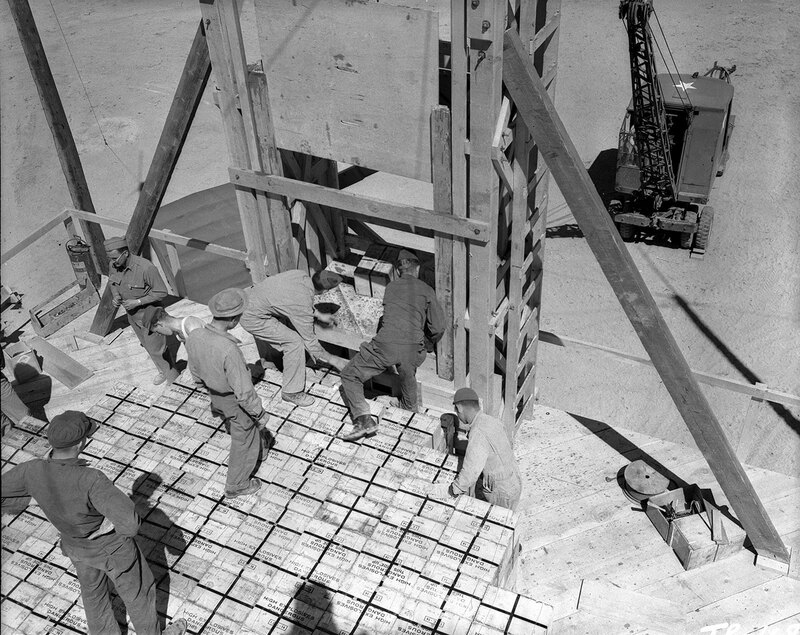 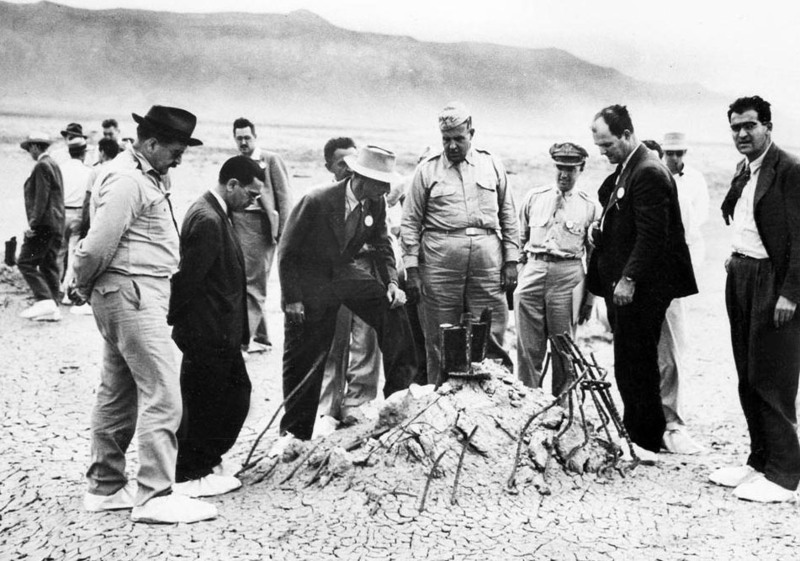 In 1952, the site of the first atomic explosion was bulldozed and most of the trinitite removed. 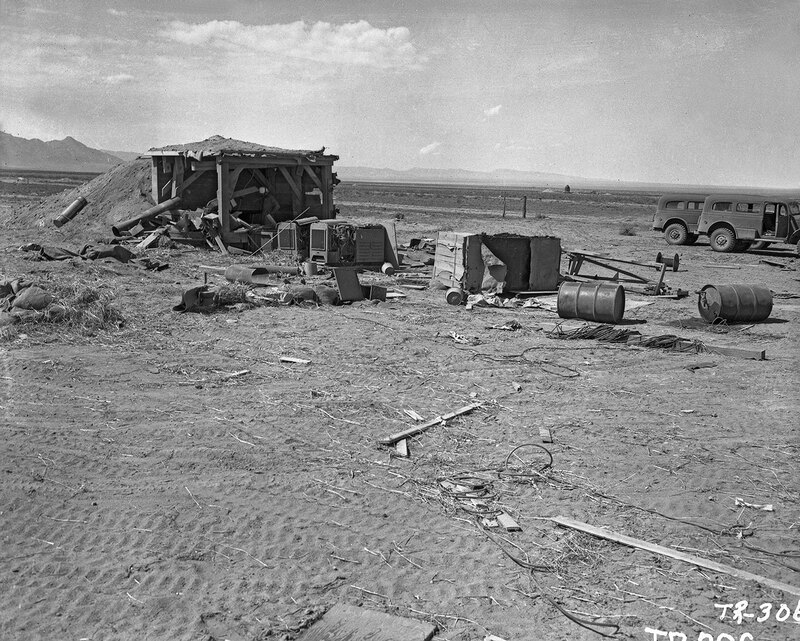 The site received a National Historic Landmark designation in 1965 and was listed on the Register of Historic Places less than a year later. 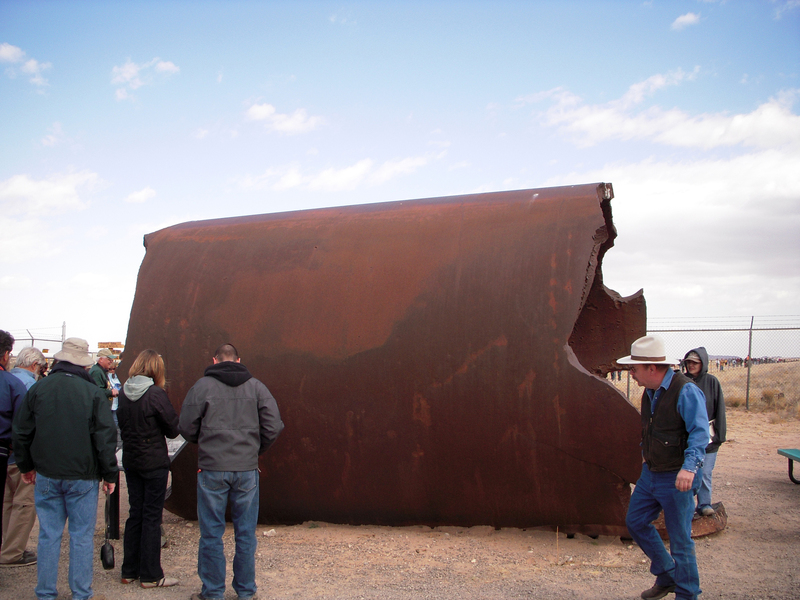 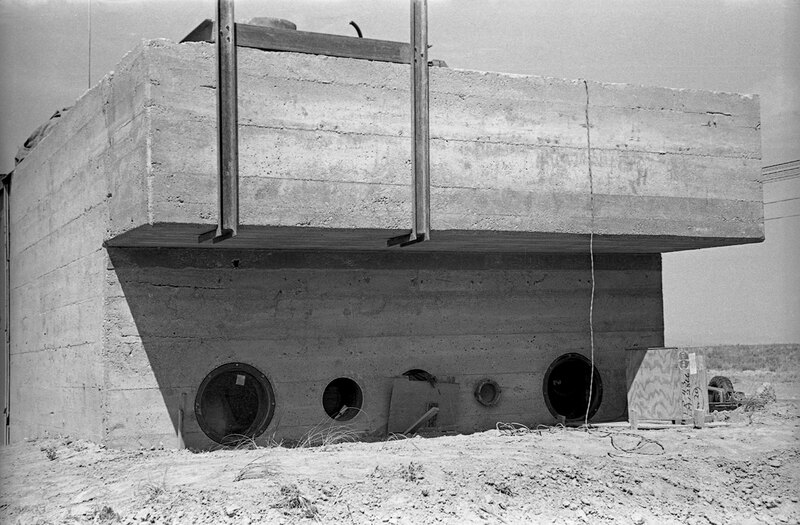 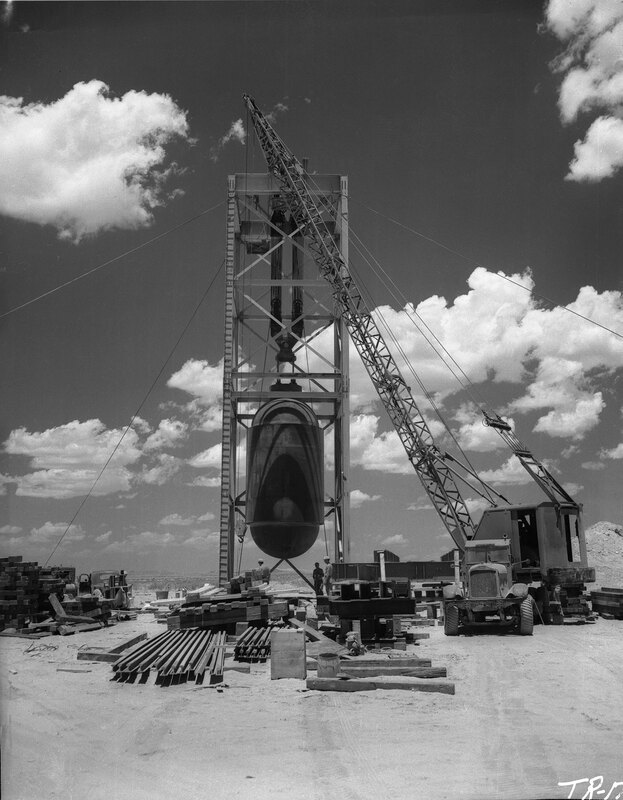 An 80-ton steel vessel, Jumbo, was built to contain the precious 13 pounds of plutonium in the event that the bomb failed to detonate. 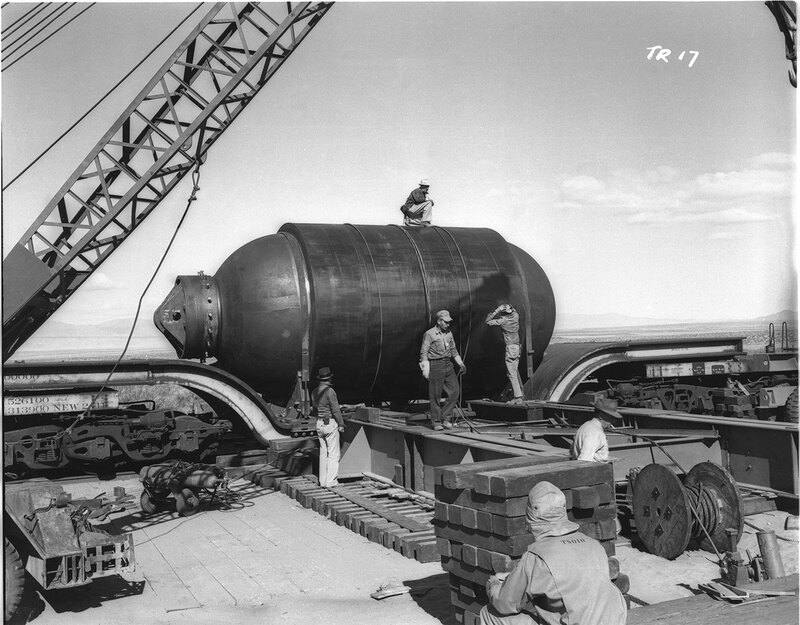 Jumbo illustrates Groves’ cautious approach to the project, always having a backup plan in case of failure. 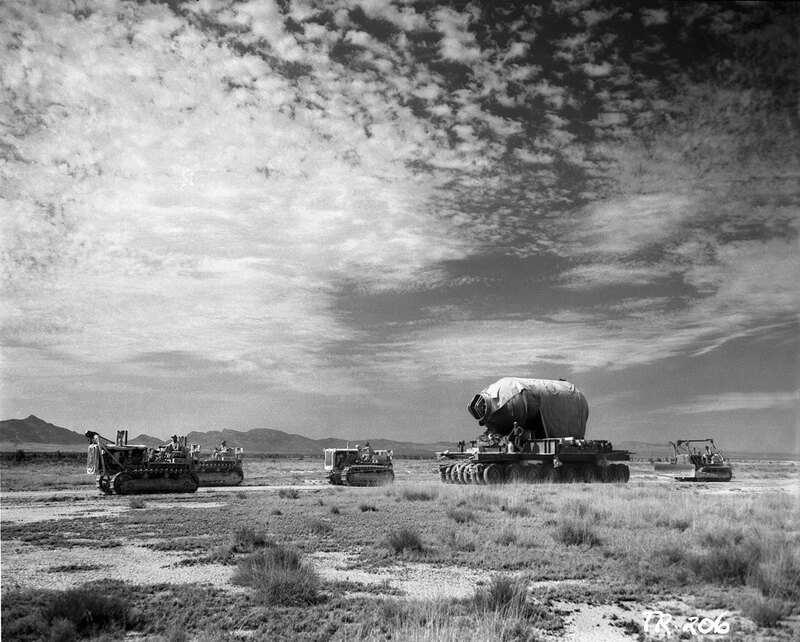 Because Jumbo was never needed, General Groves was concerned that Congress would criticize him for spending $12 milllion on a white elephant. 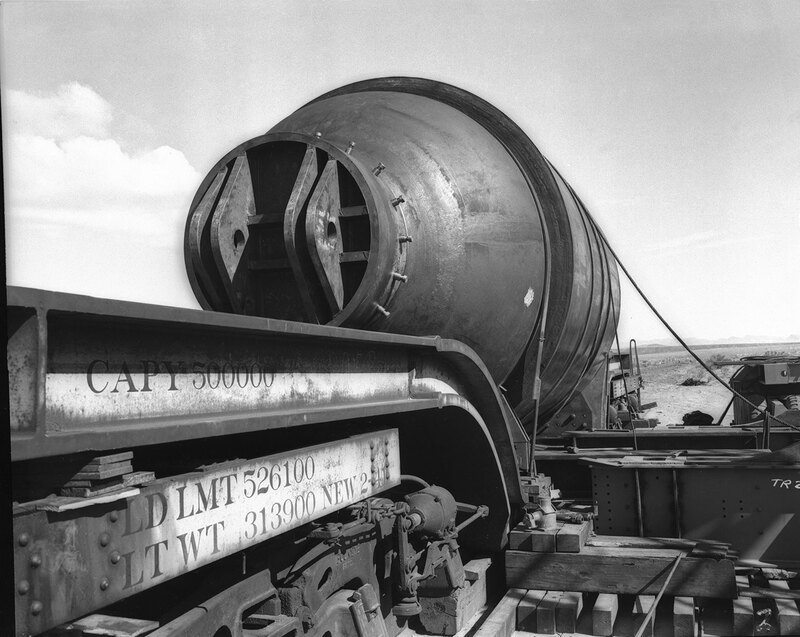 He ordered that the vessel be destroyed. 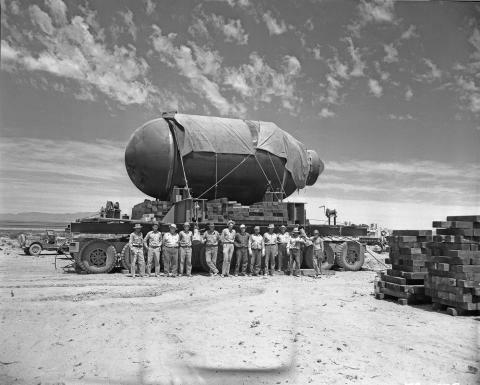 However, eight 500-pound bombs succeeded only in blowing off its ends. 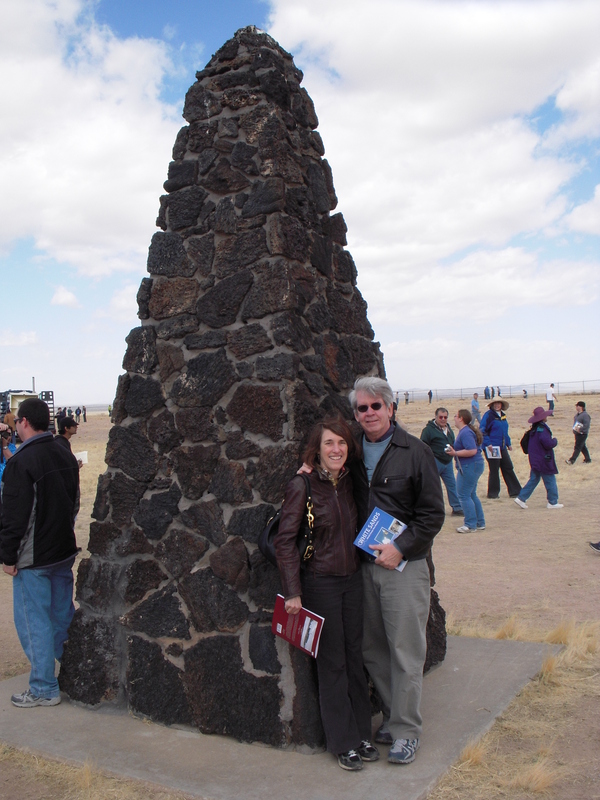 The Trinity site is open to the public on the first Saturdays in October and April. 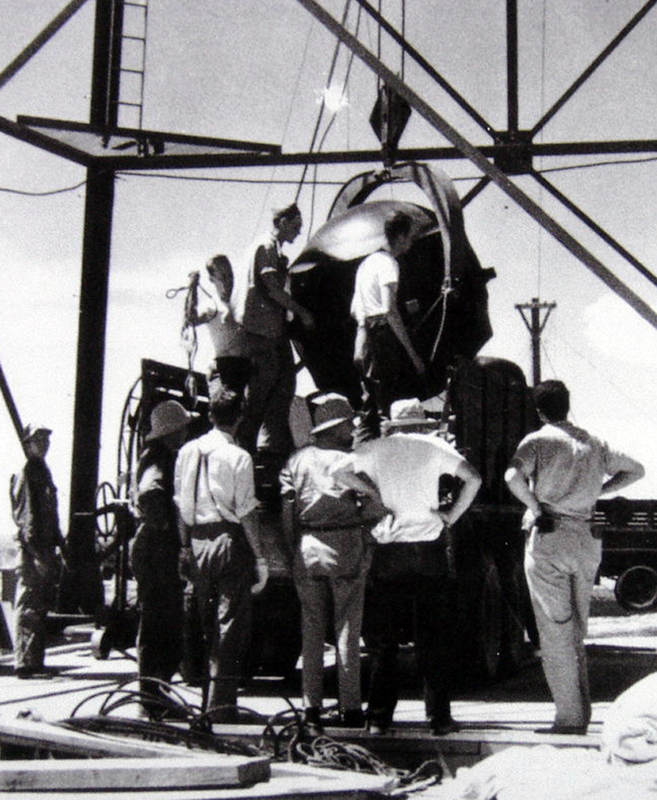 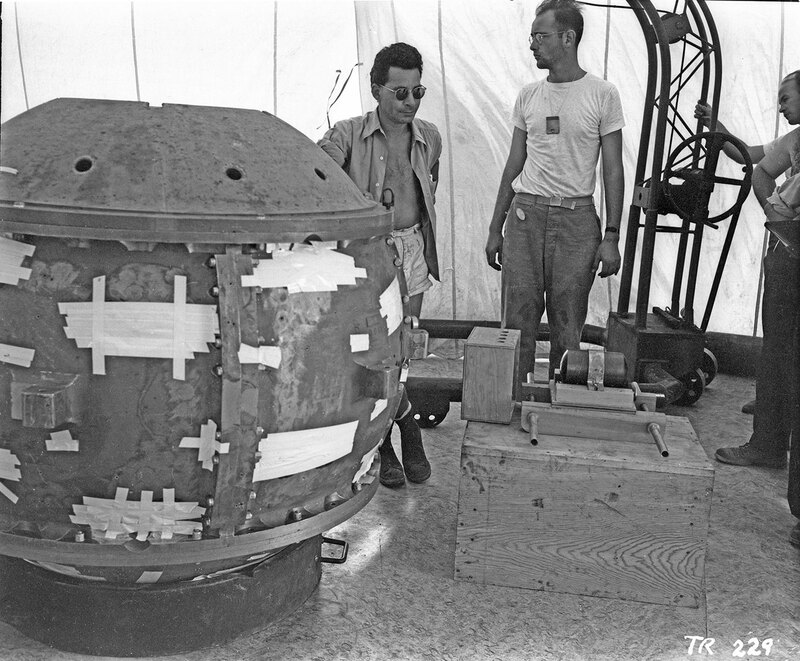 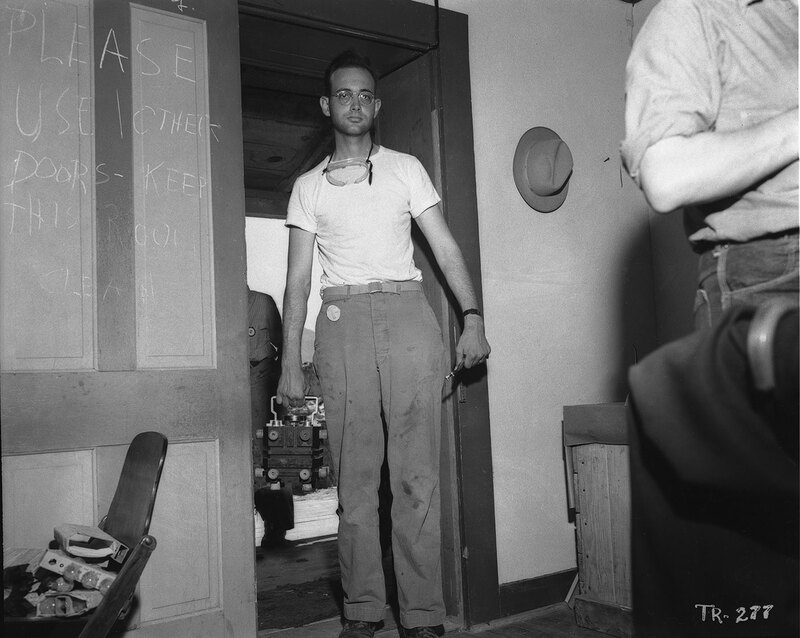 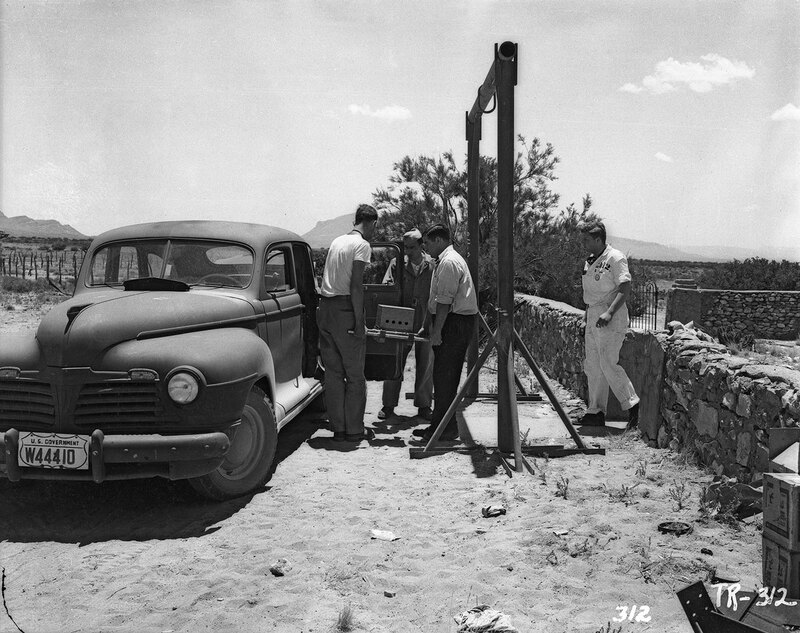 Eventually, the site may be affiliated with the Manhattan Project National Historical Park and open more often. 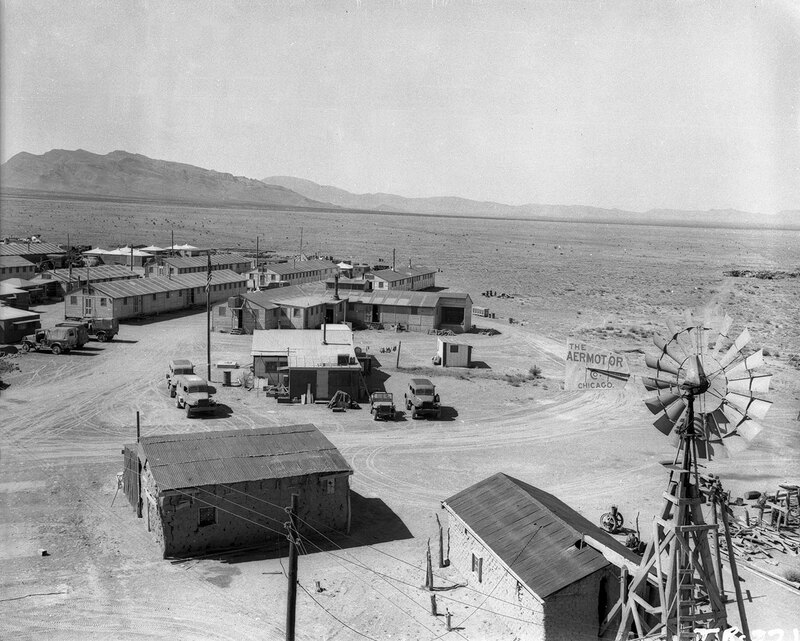 Trinitite. 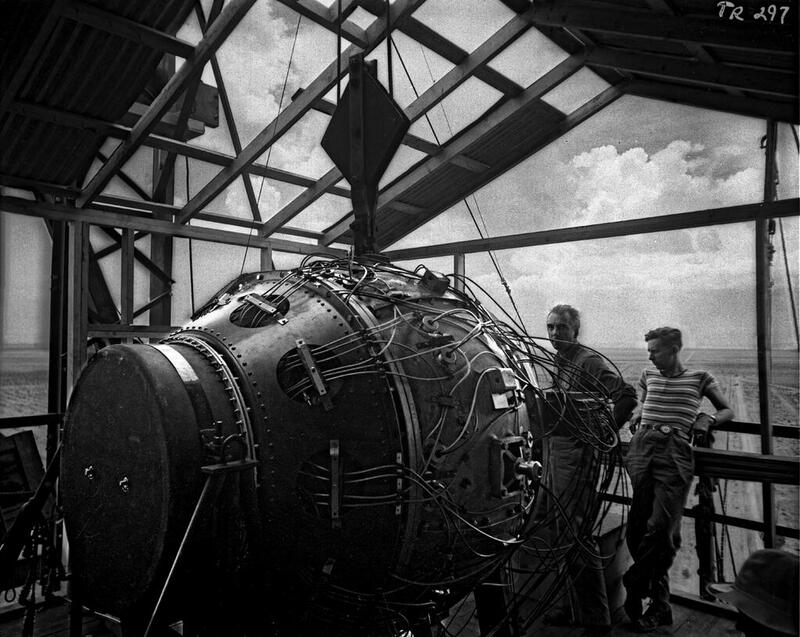 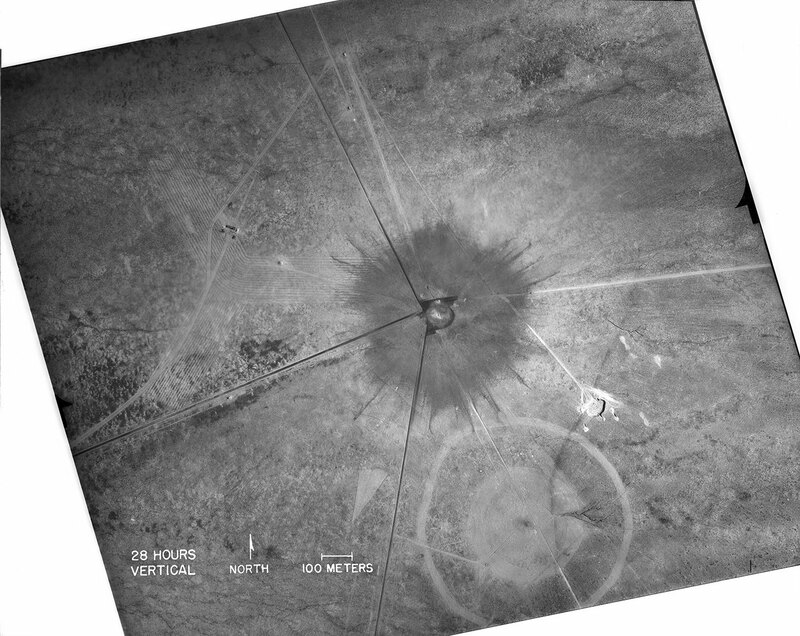 Photo courtesy of LANL. 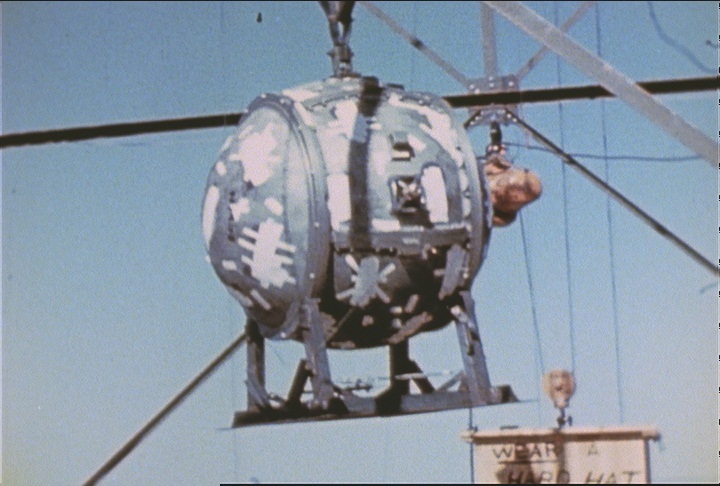 Color video of the Trinity test explosion.